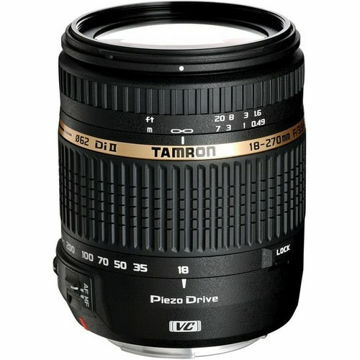 Note: Di-II lenses cannot be used with digital SLR cameras using image sensors that are larger than that of an APS-C size imager, or with 35mm film SLR cameras. 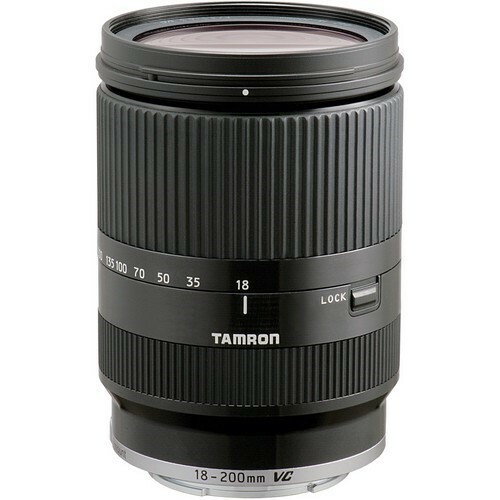 High-power 18-200mm lightweight and compact zoom lens weighing 460g with a 62mm filter is designed for the Sony mirrorless interchangeable-lens camera series. 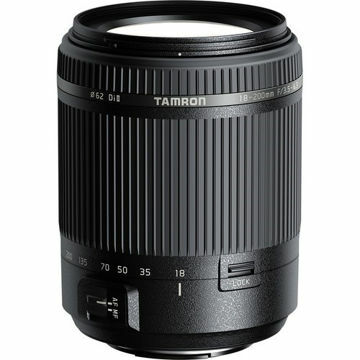 Equipped with Tamron's acclaimed VC (Vibration Compensation), the lens enables easy handheld shooting from 18mm wide angle to 200mm full telephoto. Striking appearance worthy of the Sony mirrorless interchangeable-lens camera series design. Stepping motor adopted for the AF drive, a construction that accommodates contrast-detection AF and shooting video. 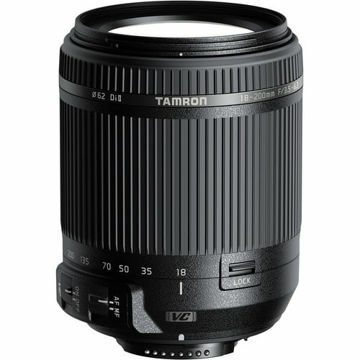 The autofocus mechanism uses a stepping motor that is an ideal match for the contrast-detection AF system used in Sony mirrorless interchangeable-lens camera series. The stepping motor's actuator allows finely tuned control of angular rotation, and since it drives the focusing mechanism directly without an intermediate reduction gear, it also provides superbly quiet performance. The Vibration Compensation (VC) mechanism employs a three-coil system, whereby three driving coils activate the shake-compensating VC lens group electromagnetically via three steel balls. The VC lens elements are held in place only by contact with the steel balls, achieving smooth movement with little friction. This provides a stable viewfinder image with excellent tracking performance that eliminates the blur from handheld shots for cleaner, crisper shots. The VC has a moving magnet system with heavy magnets in the vibration-compensating lens--the new VC mechanism adopts a lightweight moving coil system that reduces the load on the drive system. This allows the drive to be operated with smaller coils and magnets, reducing the weight and size for the entire VC unit.